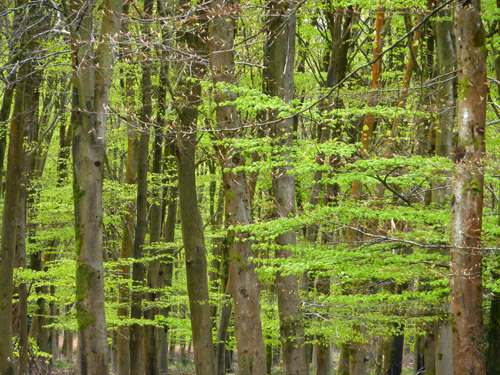 Young beech trees in the Little Linford Inclosure – the branches of new green leaves always appear to float around the trunks. Harry going at full pelt. 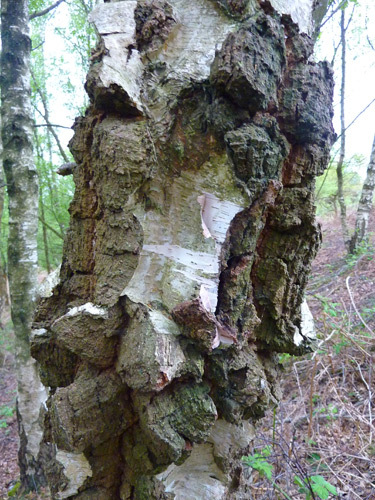 An ancient birch tree, I know the silver birch trees become very knarled with age but this is peeling back in incredible ways. 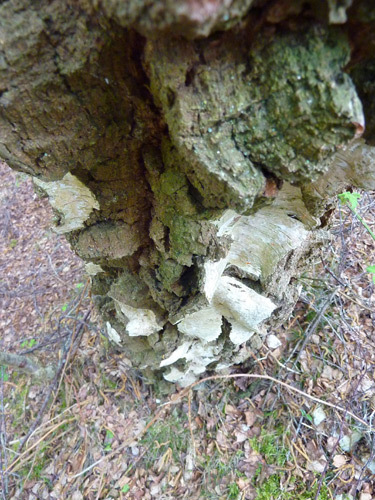 The same tree from above to show the extent of the peeling. The first foal I’ve seen this year – so late! 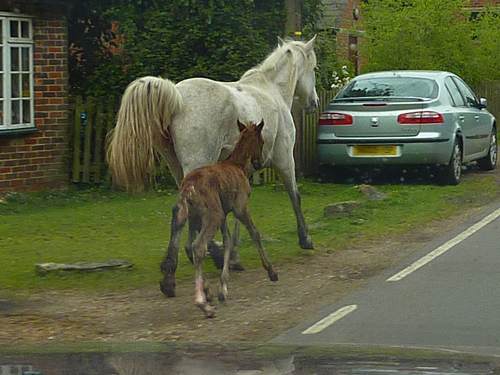 This youngster and it’s mum was being driven along the road by traffic (I was stationary when I took this – promise!). 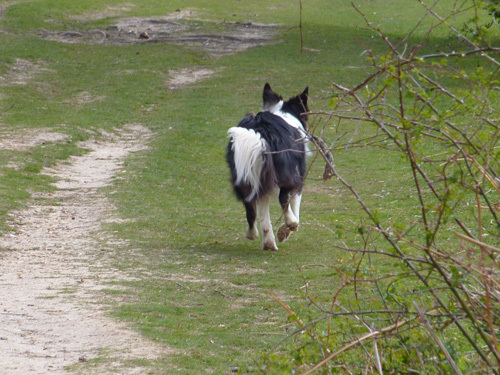 The truly amazing thing was that as mum trotted, this little thing was cantering. It’s umbilical cord still hanging and mum’s legs showing evidence of the recent birth. As I drove back along this road an hour later, I saw the afterbirth not far away. What a life, just born and having to run to keep up with the herd! 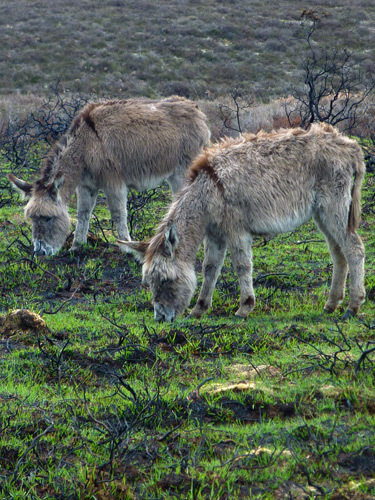 Donkeys graze on the lovely new grass shoots coming through on an area following controlled burning. In the early spring each year the Forestry Commission burn off specific areas of heather and gorse to encourage new growth and improve the grazing for Forest stock. Part of the management plan of the Forest heaths.